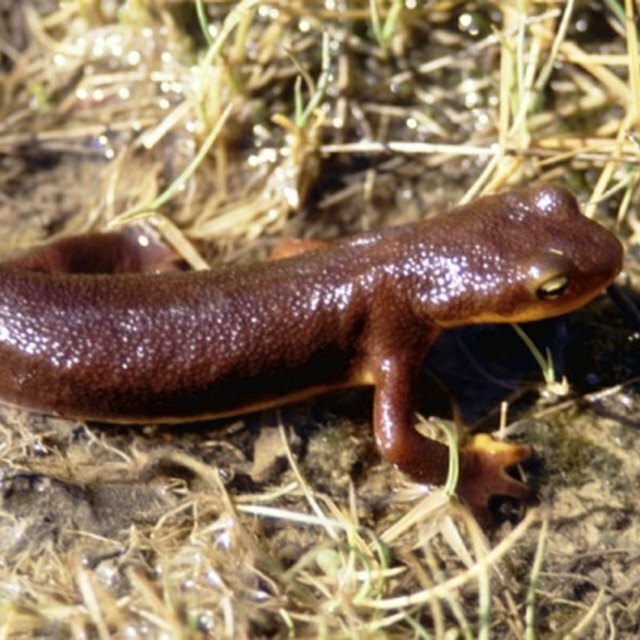 An amphibian is a type of animal that can live in water and on land. Amphibians, meaning “double life,” evolved from fish species over 397 million years ago in the Devonian Period. Frogs and toads are both members of the amphibian class. There are several similarities and differences between these two species of animals. Frogs and toads are amphibians, although they come from different families. The true frog comes from the Ranidae family. 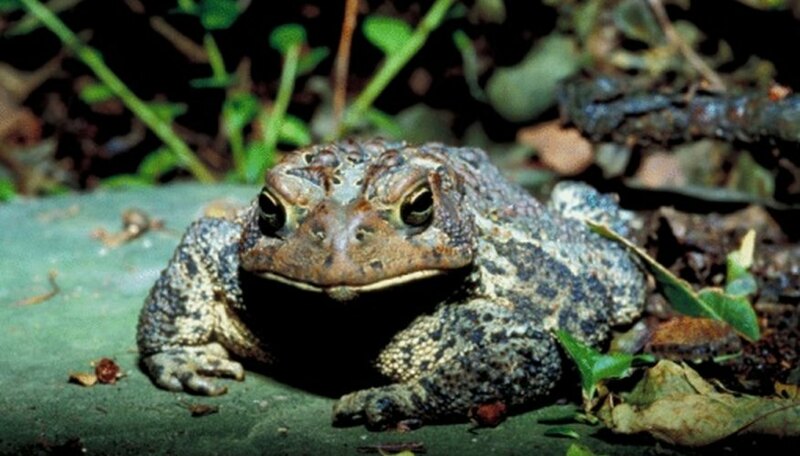 The true toad comes from the Bufonidae family. Both types of animals have many subspecies. These subspecies can be found all over the world on every continent. The only continent frogs and toads don’t inhabit is Antarctica. From a distance, frogs and toads look the same. They have short, ridged bodies, a wide head, two hind legs and two front arms. However, if you look closer you’ll notice there are distinct differences to tell the two species apart. True frogs have moist and smooth skin. The true toad’s skin is dry and rough, with warts covering its body. Toads do not have any teeth, while the frog has teeth in the upper jaw. The toad also has shorter hind legs in comparison to the frog. Also, a frog’s eyes stick out farther than the toad’s. Both the frog and toad lay their eggs on or very close to water. Female toads and frogs lay their eggs in water and the males fertilize them. The eggs will hatch into tadpoles and as they grow up they develop legs. The way in which each type of animal lays its eggs is another difference. The frog lays its eggs in clusters. The toad lays its eggs in long chains. However, several toad subspecies give birth to live young. The diet and feeding habits of frogs and toads is similar. Depending on where they are found in the wild and what food is available, they are carnivorous. Both animals eat insects, small fish, worms, slugs, spiders and other small critters. They do this by catching them with their long, sticky tongues. The toad lives on land, mainly in fields, woods and gardens. On the other hand, frogs live in water, mainly in streams and ponds. Some subspecies live in rain forests. However, a frogs need to keep its skin wet so it will live near a water source. While a toad is nocturnal and sleeps throughout the day, the frog is active in the daytime and at night. Both animals are solitary, although the toad will live in groups when it hibernates and during mating. Wood, Laura. "Similarities & Differences Between Frogs & Toads." Sciencing, https://sciencing.com/similarities-differences-between-frogs-toads-8159581.html. 23 April 2018.